Ableware Rigid Sock and Stocking Aid from HealthyKin.com has an indented channel on the inside that acts as a heel guide and keeps the foot in position making it easier to put on hosiery. 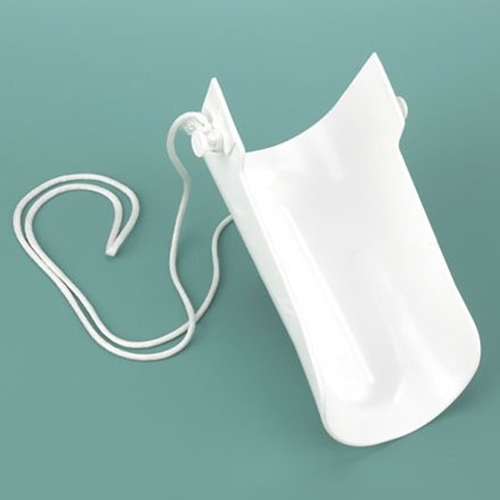 A piece of hook-and-loop fastener on the outside of the plastic shell holds the sock in place. The extra width is ideal for people with edema or larger feet and the 35" (89 cm) loop strap can be manipulated with one hand.